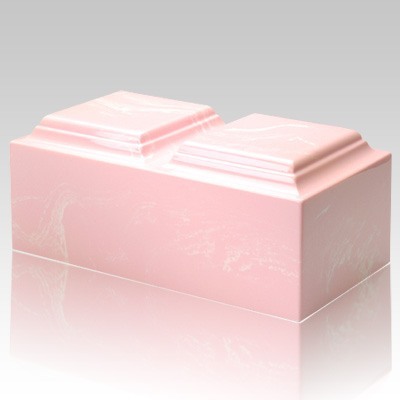 The Pink Marble Cremation Urn is a companion urn made from cultured marble material. The urn can be displayed at home or at the mausoleum. This cremation urn is made for burial as well and can be used as an urn vault for the cemetery or any other place.